The bottomland hardwood forests of Mississippi are an important and valuable natural treasure for the nation. Over the last 20 years, much attention has been directed toward this region and the significant role it plays as a functionally vital part of our natural ecosystem. The acreage of hardwood forests in Mississippi declined steadily throughout the 1900s. The most dramatic and possibly the most environmentally significant losses have occurred since the 1950s. 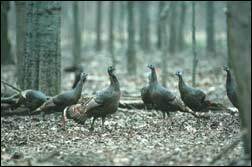 Because of the local, regional and national importance of the state's hardwoods, non-profit wildlife and conservation organizations, as well as state and federal resource agencies, have focused much of their attention on restoration of these ecosystems. Initial conservation efforts included federal and state funding to purchase hardwood areas to be set aside as state wildlife management areas, federal refuges, and national forest lands. Though these acquisition efforts are important, they have a limited role in efforts to insure broad-based protection for these valuable ecosystems. The Duck Lake Project exemplifies what can happen when business, government and conservation interests work together to protect the environment. The conservation easement is the project's cornerstone; it establishes the legal framework that outlines the future of Duck Lake. Tommy Goldsby puts it plainly, "The conservation easement provides for the needs of wildlife and industry in a way that the entire system, and the community, are better off than they were previously." Approximately 95% of this tract of land is in bottomland hardwoods. Six miles of the western border of the 1,200 acre property borders the Mississippi River. In 2000 Thomas Goldsby, the landowner, learned about the conservation easement program of the Mississippi Land Trust. He agreed to donate a conservation easement to the Trust on his 1,200 acres. The easement restricts all commercial and industrial activity on the property, including the development of casinos, which are located less than one mile away. The easement allows the landowners to build in two designated sites on the property. In these areas Goldsby can add to his camp house, construct outbuildings, storage sheds, a wood shop, fences, parking and even a sauna. He can use the property for hunting, fishing and education. The conservation easement allows Goldsby to have up to five percent of the property as forest openings. He can harvest trees selectively to improve the property's timber stand for both tree quality and wildlife.